Shahid Kapoor posted a picture after winning the Critic's Award for Best Actor, Male, for Udta Punjab. 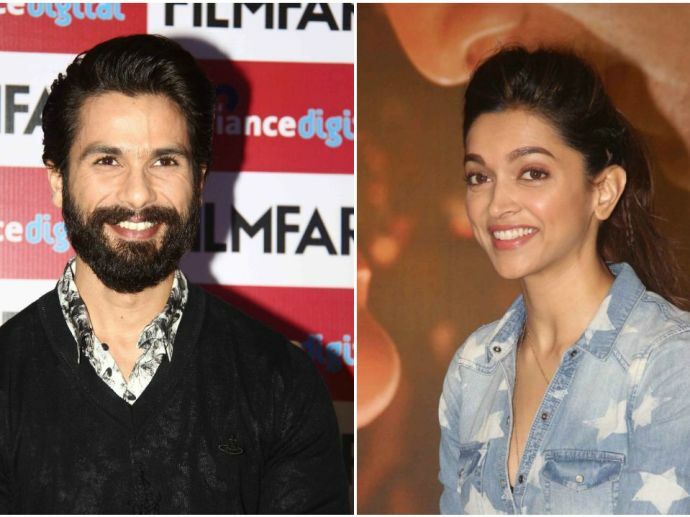 A lot is being said about Shahid and Deepika getting along well these days against the background of the Sanjay Leela Bhansali's Padmavati where they will sizzle as India's historic royal couple Raja Raval Ratan Singh and Rani Padmavati! The camaraderie became even more evident when Shahid Kapoor was recently honored with the Critic’s Award For Best Actor at the 62nd Jio Filmfare Awards 2017 for his rustic role in Udta Punjab. 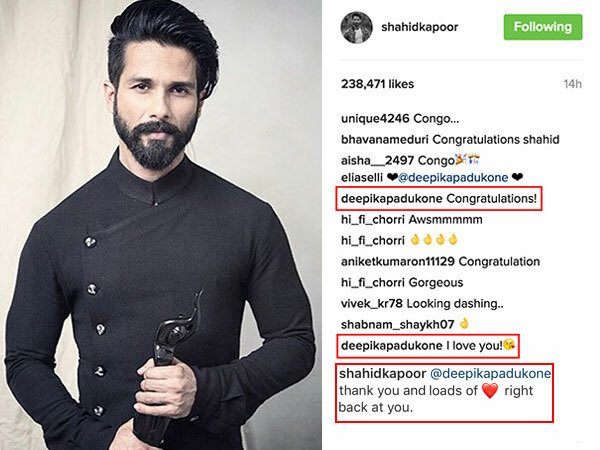 The actor posted a picture of himself with the Black Lady on Instagram on Monday and his Padmavati co-star, Deepika left him two comments that caught our notice! So with this amazing chemistry on the sets and now even otherwise, we have a feeling Ranveer Singh might get jealous. What do you think? Should Ranveer be worried?